Thirties Equals Skin Changes. Apparently. Welcome to another edition of The Thirties Series, as I’m haphazardly calling it. I’ve previously written about my reactions to being in my thirties here and here, in case you want to catch up. I’ve even written about a previous epiphany I thought I’d had about the right skincare products for me. As evidenced by this update, I’m still adjusting three years in. And if someone had told me when I was in my late twenties that I would experience a major skin change by the fair age of 33, I would have scoffed and laughed in her face. I have had oily, acne prone skin since….forever. I became aware of my skin type probably around the time I was in junior high. I didn’t know back then to buy products based on skin type; I merely bought for symptom treatment purposes. In response to the ads screaming, “Keep your filthy teenaged zits at bay!” I would haul myself off to the drugstore to plunk down my little allowance on what I thought would work. Back then, the types of products I purchased were Clearasil, Clean & Clear anything, foul-smelling Noxzema, and Oxy Pads. I never assumed they wouldn’t work exactly as advertised. I mean, YM and Seventeen magazines wouldn’t lie to me, right? For the occasional splurge, I’d get my mom to buy me the Clinique astringent, also known as “Clarifying Lotion,” which only came in one type back then, and it was pretty much just pure alcohol. I firmly believed that a stinging sensation must be a good thing. Fun times. I grew tired of it, though, as I realized it definitely did not help keep the oil away. Of course I didn’t know that my skin was overcompensating being dried out by producing ever more oil. This year has brought with it better physical health (I have no more gallbladders to suddenly crap out on me) but also a major change in skin type, something I clearly wasn’t anticipating. I noticed it earlier in the year when my usual foaming cleansers began drying out my face really badly. I’d get out of the shower and my skin would be tight, red, dry, and flaky. Completely the opposite of what I’ve been accustomed to the last twenty years. The cleanser I was in love with, one by La Roche-Posay, was suddenly too strong and drying. I switched to Purpose by Johnson & Johnson, one of the mildest foaming cleansers you can buy. It’s basically baby shampoo for the face. I didn’t think I would need anything gentler. Yet my face continued to kick and scream with tight, red, dry skin. At this point, I was blaming the water, thinking we had way too hard water or something. But we actually have pretty great tap water here in central Illinois and I needed to face facts and keep experimenting. I finally tried the Oil Cleansing Method, which for a brief shining moment, I believed to be the answer to my problems. (I highly recommend trying it if you want to get away from traditional cleansers and you don’t have “problem” skin. Crunchy Betty really knows her stuff!) I was using pure Castor and Sweet Almond oils on my face each night and my skin was definitely moisturized and soft. I firmly believed that I would be “washing” my face with oil until I was a little old lady. It got to the point where my skin began feeling stinging and inflamed even if it wasn’t red (we’re up to August now). I’m sure feeling stressed about my skin wasn’t helping, either. The only thing that was remotely working on my skin was Philosophy’s Miracle Anti-Aging Moisturizer, which I was using at night but began putting on before my SPF moisturizer in the morning, thinking that it would prevent my skin from breaking out and/or getting inflamed. To make matters worse, if my skin wasn’t inflamed, I was experiencing chronic acne on my chin, something I had never dealt with previously. I was getting desperate. I began to do more skin research and landed on a website where I’d purchased a few treatment products previously but hadn’t invested in an entire line or anything. That website was Mario Badescu. The information on the MB website is thorough and incredibly helpful. I suspected I was in the couperose/rosacea/combination skin categories and short of going to a dermatologist (something I could not afford at this point in time, so please consult one if you have the resources! ), I decided to take one last stab and self-diagnose and treat my strong suspicions. I was still reeling from this new change but ready to plow forward. Overall, here is what I have invested in. From left to right: Glycolic Foaming Cleanser, Keratoplast Cream Soap, Enzyme Cleansing Gel, Kera Moisturizer, Collagen Moisturizer SPF 15, and Silver Powder (the last being a gift). Some of the miracle workers. The Glycolic Foaming Cleanser has been with me since before this problem arose. It is meant to be used twice a week in place of your regular cleanser, as the ingredients naturally exfoliate the skin. It smells great, is quite gentle, and really works. Even going through The Change, I have still used it sporadically since exfoliation is still important. The next product is the one that has absolutely saved my skin: Keratoplast Cream Soap. This baby not only smells amazing but does exactly what it promises: calms red, blotchy, inflamed skin. It is non-foaming and rinses in a breeze. It leaves my skin feeling soft, smelling lovely, and most importantly: keeps the skin temper tantrums at bay! I can use this twice a day if necessary, since it doesn’t dry my skin out and gently prepares my skin for moisturizer. 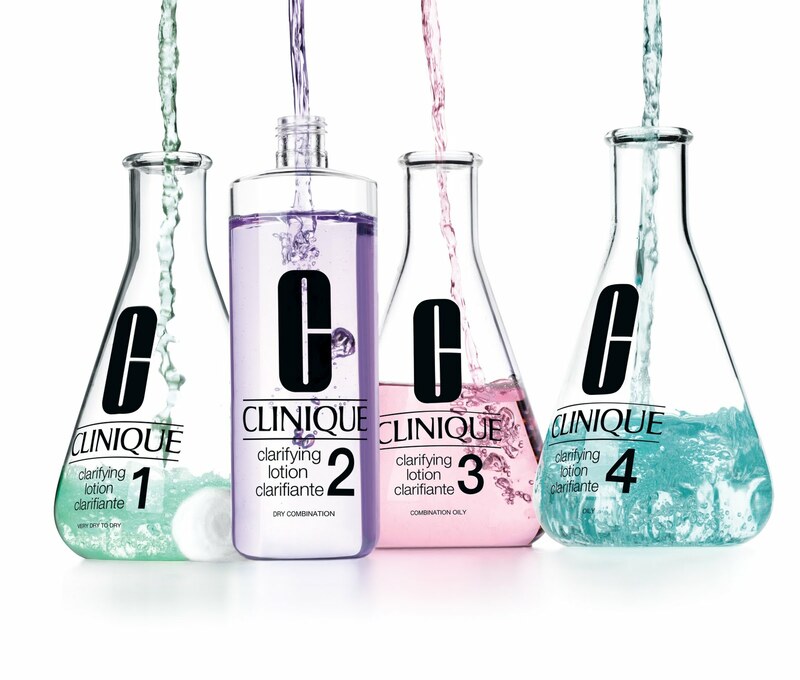 Next up we have the Enzyme Cleansing Gel. This is also a non-foaming cleanser that I thought would be terrific because it’s designed for “All” skin types. HOWEVER: the fruit acid in this cleanser over-tightened my pores and I have found I can not use this one regularly. Oh well. It also smells really “green” and fresh. 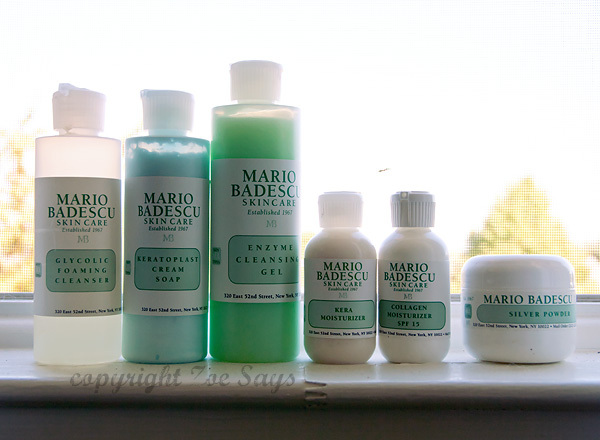 After trying samples of the above two moisturizers based on the MB recommendations and reviews, I bought the full-sized bottles. The Collagen Moisturizer is lightweight and absolutely perfect for combination skin. I had tried a different SPF moisturizer from MB previously for oily skin and ended up throwing it away. This one will remain as my go-to until my skin inevitably changes again. The Kera Moisturizer is meant for dry skin that also gets inflamed. I take a teensy amount of this stuff and pat it on my cheeks, chin, and forehead. I find that it adds a little boost of moisture where I need it most and keeps my skin from stinging later in the day. I can’t go full Kera because otherwise my skin overproduces oil and then I’m blotting it like crazy midday. My skin is feisty like that. 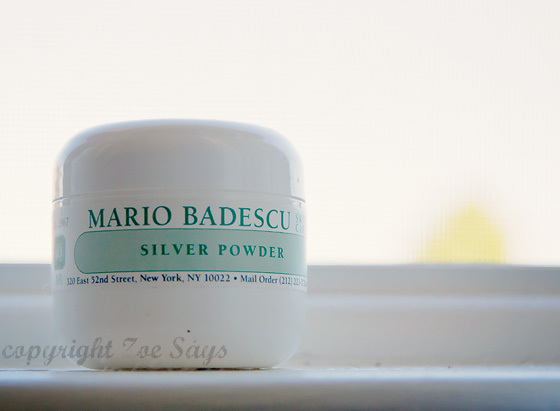 Last up, there’s the Silver Powder. This is excellent for people like me who have pores the size of Jupiter. It unclogs and tightens them right up. A friend of mine uses this with her Clarisonic brush and swears by it. It has excellent reviews on the MB website. I have kept away from using it as my skin adjusts to its new routine but I will be re-incorporating it eventually. Based on my being a skincare product junkie for a long time now, I have bought all manner of things. 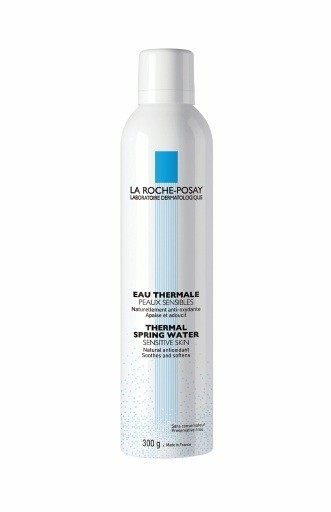 One product I knew that might work in lieu of toner is La Roche-Posay’s Thermal Spring Water. I know. It almost seems like it could be a scam but it really does work. It is not just water in a spray can. Its active ingredient is Selenium, which soothes red/inflamed skin. I have been using this stuff right before I moisturize and it locks in the moisture, keeping my skin dewy and happy. If my skin starts feeling remotely sting-y, I spritz myself with a travel can I bought and keep at work. And…it works! So, here’s a final rundown. This post is entirely too long but I really wanted to share all this in case anyone else is desperately seeking some skincare help. Cleanse with Keratoplast (1-2 times a day); occasionally use Glycolic Foaming Cleanser for exfoliation. Tone/refresh with La Roche-Posay Thermal Spring Water. Moisturize with Kera Moisturizer and Collagen Moisturizer SPF 15. Night creams/moisturizer: Philosophy Miracle Anti-Aging Moisturizer, Mario Badescu Chamomile Night Cream (only have a sample right now–gentle and REALLY moisturizing), Mario Badescu Honey Moisturizer (working with a sample, has a floral scent and is wonderful for combination skin). The best parts about MB products: they’re not tested on animals, they utilize pure ingredients, they smell fabulous, they’re extremely reasonably priced, and they really work. It doesn’t get much better than that. They also have shampoos and conditioners and a men’s shaving line of products. I can’t talk up this company enough. I feel incredibly grateful to have found a product line that does what it says it will and is keeping me from being a guinea pig at the dermatologist’s. Note: I applaud you if you read this entire post. It’s very TL;DR but it couldn’t be helped this time around. Gold star for you!